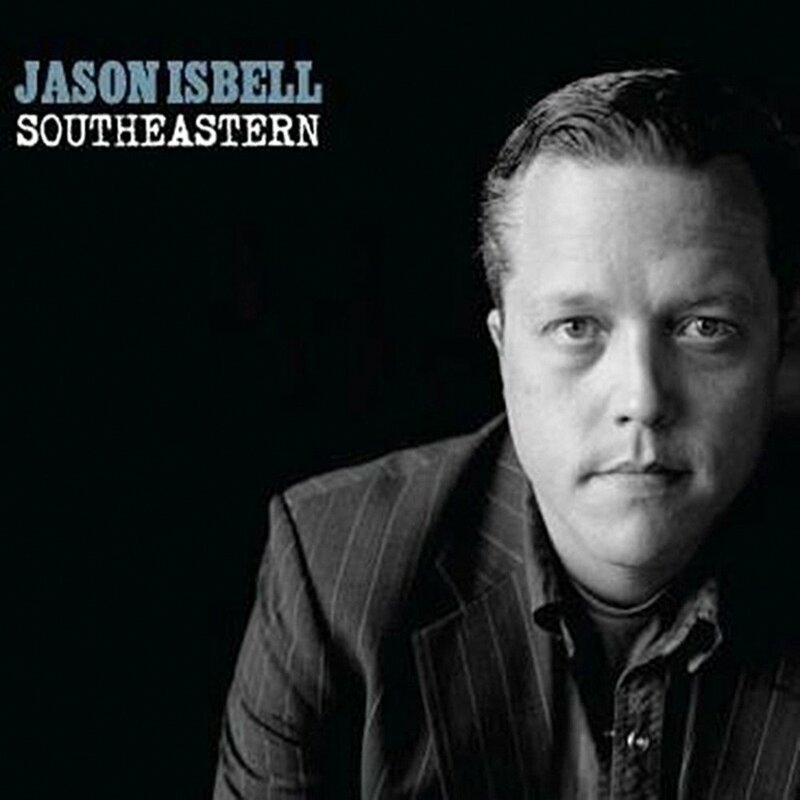 On the covers of his last two albums, 2013’s Southeastern and 2015’s Something More Than Free, Jason Isbell is a man alone, a resolute figure in noir-ish black-and-white whose soulful stare expresses sorrow, pride, and gratitude for the here and now. In contrast, the cover of the forthcoming The Nashville Sound, due June 16, shows Isbell with his band, The 400 Unit, which includes his wife, the singer-songwriter Amanda Shires. This shift from the solitary to the communal is reflective of the music on The Nashville Sound, which rocks harder than its relatively folky and introspective predecessors. But it’s also indicative of the record’s primary concerns — the value of family, the importance of the social fabric that binds strangers together into a kind of extended brotherhood, and how the rise of antipathy in our politics and culture threatens both of those sacred concepts. In times like these, Isbell seems to say, you can no longer afford to stand by yourself. Isbell, 38, is probably the most respected artist currently working in the amorphous, ill-defined genre situated somewhere between rock and country known as Americana. He’s built that reputation over the course of the past 15 years — first as a member of the excellent southern-rock band Drive-By Truckers, and then as a solo artist beginning with 2007’s Sirens Of The Ditch. But Isbell’s stature has grown exponentially since Southeastern, one of the decade’s great rock records and a deeply moving song cycle informed by Isbell’s newfound sobriety and marriage to Shires. The focus and drive of Southeastern has carried over to Isbell’s subsequent work, elevating him to a new plateau in the hierarchy of contemporary singer-songwriters. With The Nashville Sound, Isbell affirms his place at the very top of that group. As a lyricist, Isbell operates like a short-story writer, weaving evocative details gleaned from everyday life into snap-shot narratives set in dead-end towns and populated by the sort of forgotten middle-American nobodies that normally never wind up in songs. In the heavy-riffing “Cumberland Gap,” the first single from The Nashville Sound, a coal miner ends each day by going to a bar and thinking about the day that his job might finally kill him. In the wistful “Tupelo,” Isbell sings over a gentle pop-country melody about a man on the run from unspoken danger, who deludes himself into believing that a girl down south might redeem him. But the heart of The Nashville Sound lies in the songs in which Isbell grapples with the fear of a family man who worries about losing all that he has. The unbearably poignant “If We Were Vampires,” in which Isbell rues the day when either he or Shires will die before the other, joins “Elephant” and “Children Of Children” in the recent ranks of Isbell’s most devastating tearjerkers. The stinging country-soul number “White Man’s World,” written shortly after the 2016 presidential election, angrily ponders the insanity of raising a daughter with Donald Trump in the White Office. (“I’m a white man living in a white man’s nation / Think the man upstairs must’ve took a vacation / I still have faith, but I don’t know why / Maybe it’s the fire in my little girl’s eyes.”) In the startling “Anxiety,” Isbell even writes candidly about his own mental health. “Even with my lover sleeping close to me / I’m wide awake and I’m in pain,” he sings in the wrenching chorus. No matter Isbell’s angst over the state of the world, he is undeniably in the midst of a career-defining groove, writing with uncommon thoughtfulness on a series of the very best albums he’s ever made. The Nashville Sound continues that hot streak.